Being aware of the emerging trends in global sustainable performance management can be essential for industries in order to help them plan for the future. 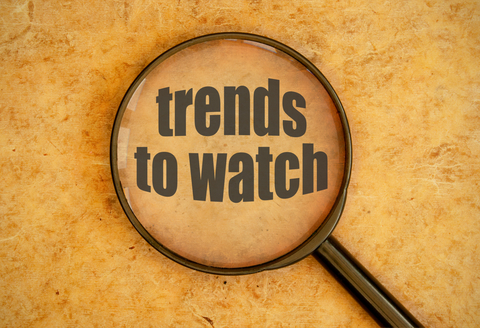 Of course, trends do vary, so what is essential now will often change further down the line. Also, a great degree of external influences will have an impact on the way in which everything is shaped, both now and in the future, but being aware of these emerging trends will make a significant difference to any business model. This is a trend that has been around for several years, but it shows no signs of disappearing. Companies are currently at a point where they no longer believe in annual reporting when it comes to performance management. Instead, it has changed to a form of continuous reporting, allowing them to identify potential areas for improvement at the earliest opportunity, rather than missing out by the time it gets to the annual review. The speed of communication and the ease at which individuals can interact with one another has a direct impact on productivity levels. There is a need to streamline the communication process by seeking out better interfaces that allow for more direct communication without messages being lost in the process. Companies are seeking to improve in this area as a matter of urgency, allowing for issues to be dealt with in a shorter period of time. Performance management is important, but there is also a trend for individuals to strive for personal development at the same time. Companies should actively encourage individuals to develop their own abilities and acquire new skills, which could then prove to be rather beneficial for the company as a whole and allow each member of staff to improve their private lives as well. Studies have shown that individuals want the company that they work for to allow both parties to grow equally. By understanding what it is that the individual wants, or is seeking, it then stands to reason that they will be happier and perform better as they are being listened to, as well as helped. Managers or those in positions of authority should seek to move away from the concept of micromanaging others and focus on productive coaching or supervision. There is greater emphasis on providing employees with a sense of autonomy by placing the onus on the employee to take various actions, rather than it being left on the shoulders of those in authority. However, there needs to be active encouragement for employees to become aware of their own individual goals, desires, and what is expected of them, so they can understand how issues can be solved. This sense of freedom is known to boost the confidence of employees, leading to better performance and less need to manage them due to their new improved work education. Annual reports conducted by companies on specific processes appears to be falling in general in popularity. The same can be said for individual appraisals and performance ratings of staff. This is also tied into the autonomy that is provided to everyone, but there is some warning as to not completely remove the concept of performance ratings, as this could also have a negative impact on the business as a whole. Instead, individuals are quite content with ratings and appraisals, but on a more ad-hoc basis where errors or mistakes are being pinpointed. Leaving it to an annual appraisal creates a sense of stress and uncertainty in the workforce, especially as the time for the annual appraisal approaches. By removing this fear, the workforce will be far more efficient and less likely to make mistakes. Sustainable performance management is something that can be achieved by all companies. However, there is clearly a need for them to be aware of changes in thought and ideas regarding how to get the best performance out of the workforce. Failing to adapt to these changes can be problematic, which is why ignoring these trends is certainly not advisable. The post Emerging Trends in Global Sustainable Performance Management appeared first on Shmula. Can the Kano Model Be Used Effectively in Product Development?